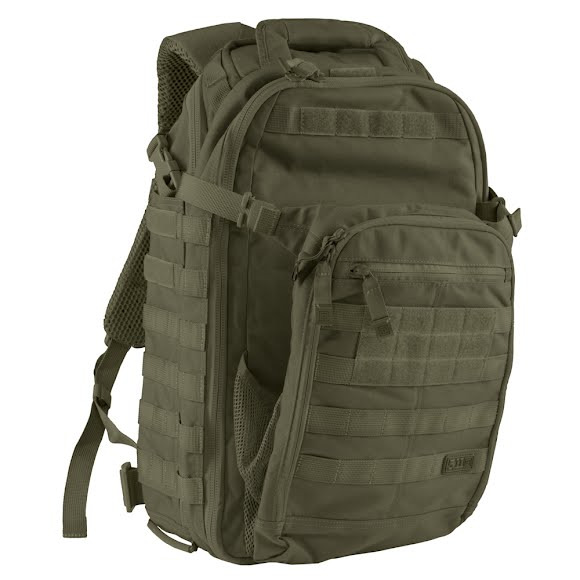 511's All Hazards Prime Backpack was designed with direct input from MACTAC instructors. Featuring padded laptop and tablet sleeves, hydration compartment, compressions straps and tear-out medical pouches providing a fully functional tactical bag. 511&apos;s All Hazards Prime Backpack was designed with direct input from MACTAC instructors. Featuring padded laptop and tablet sleeves, hydration compartment, compressions straps and tear-out medical pouches providing a fully functional tactical bag.